Three Cane Whale tickets available in the New Room shop, on Eventbrite (online booking fee applies), or on the door. 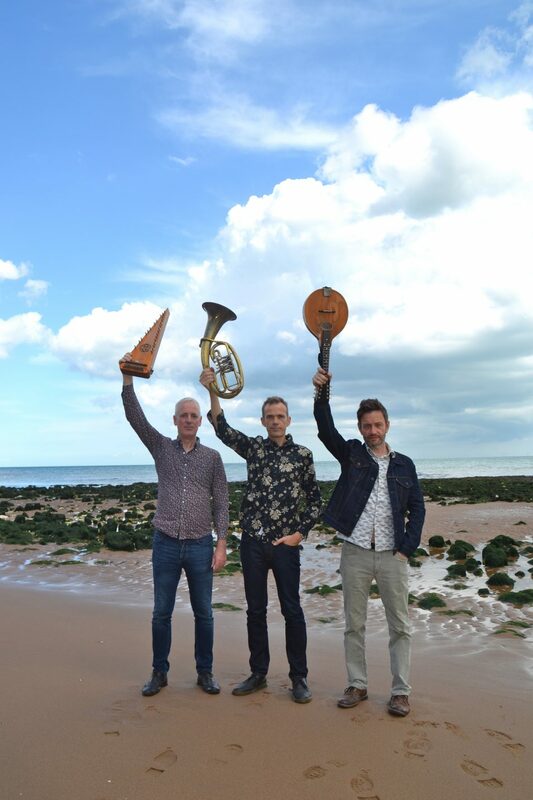 Three Cane Whale is a multi-instrumental acoustic trio based in Bristol, UK, featuring members of Spiro, Get The Blessing and Scottish Dance Theatre. As intricate as a team of watchmakers, as spare as a mountain stream, their music encompasses both a cinematic sweep and an intimate delicacy, in which “the aroma of muddy leaves and old nettles is almost tangible” (The Observer). The Bristol Folk Singers are a friendly group coming together to sing English Folk Songs in traditional harmony. They sing for the joy of singing but will also perform formally at concerts and informally in pubs. The group is lead by Matt Norman a very experienced choir leader who specialises in English traditional harmony singing.